Speaking at the INDABA Travel and Tourism Show’s opening ceremony, President Jacob Zuma announced that Durban has secured the rights to host the show for the next five years. 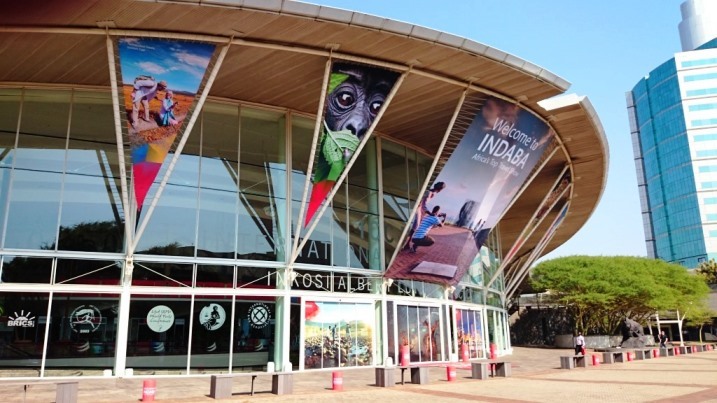 “Indaba is one of the highlights of our year and is the ideal showcase of the amazing tourism offerings available in Durban and KwaZulu-Natal, not to mention that the event is also the premier platform to discuss the growth and development of our tourism industry in the years ahead”, added Rakharebe. Her Worship, The Mayor, Cllr. Zandile Gumede, is ecstatic with the city winning the five-year bid to host Indaba until 2022. This is an affirmation that the city has the resources, the world-class infrastructure and the capabilities of growing the tourism Indaba to new heights. We strongly believe that the new international direct flights, the city’s new infrastructural developments, new hotel investments and major tourism investment in the north of Durban have all attributed to the success of this win. Renowned as one of the top three travel events in the world, the event is expected to generate an estimated R500 million in economic impact for the City and Province over the next five years. Rakharebe also expressed her gratitude to the other bid-parties, the KwaZulu-Natal Department of Economic Development, Tourism and Environmental Affairs, Tourism KwaZulu-Natal, the eThekwini Municipality, and Durban Tourism for their partnership in the bid.